Order your Pelikan Classic M200 Fountain Pen today from FahrneysPens.com. Fine Pens, Refills & Luxurious Gifts – great prices & fast shipping. 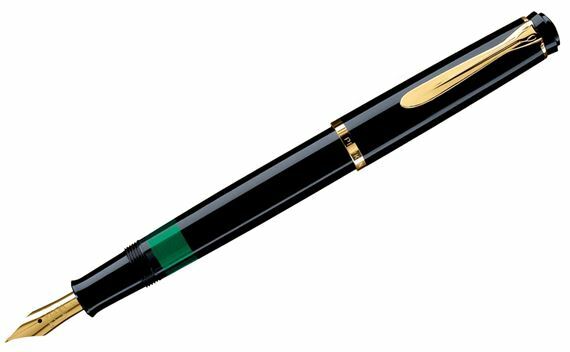 Pelikan is proud to bring you the ever popular and always dependable Classic M200 fountain pen. Top quality and superior writing is yours in a convenient writing instrument that you will love using daily. The Pelikan Classic M200 fountain pen is noted for its writing comfort and semi-flexible, gold-plated nib. The 24 carat gold-plated decorative rings and the characteristic Pelikan beak clip underline its traditional design. The italic medium nib is not gold-plated. A terrific value for superb writing performance. Purchase one for yourself, or give it as a gift. Bottle fill only.